Designed to look good on desktop, tablets and mobiles. As Entrepreneur's your business is your livelihood. You may be out and about but have the urge to check in with your business. You can do that via Zero BS CRM. Our CRM is mobile responsive and you can manage your contacts while on the move. The mobile responsiveness comes as standard with the CRM. No messing. No paid extra for mobile layouts. At the Coffee shop but don't have your laptop with you? No problem. Simply login to your site using your phone or tablet and you can access all your CRM data, the perfect fit. 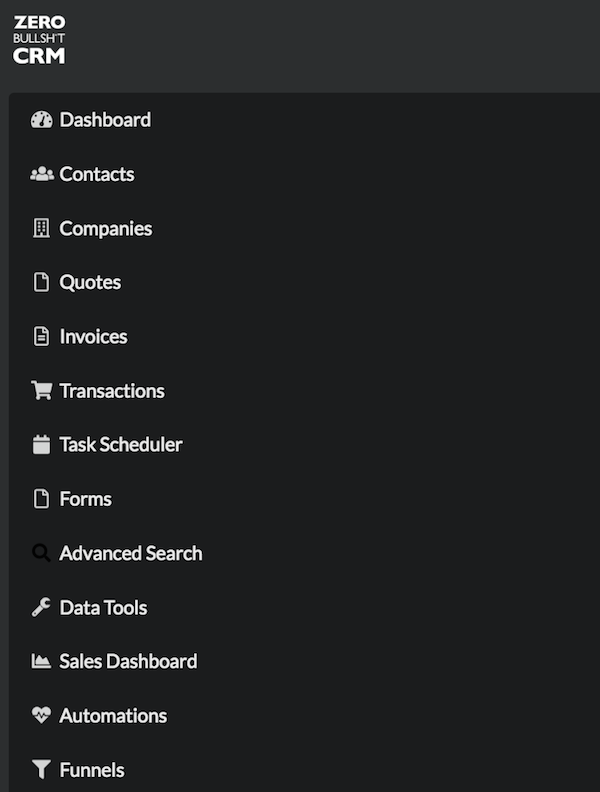 The Zero BS CRM menu pops down when the icon is tapped. Keeping your CRM tidy. You can navigate around the menu with ease. This saves you time searching through WP menus to find the page you are looking for. It's no secret that having lots of columns in a table and also trying to fit into a mobile view is hard. That's why we cut the BS and give a simple table design, which lets you scroll to see all the columns you have visible in your list view settings. Easy to view by tags and other filters. 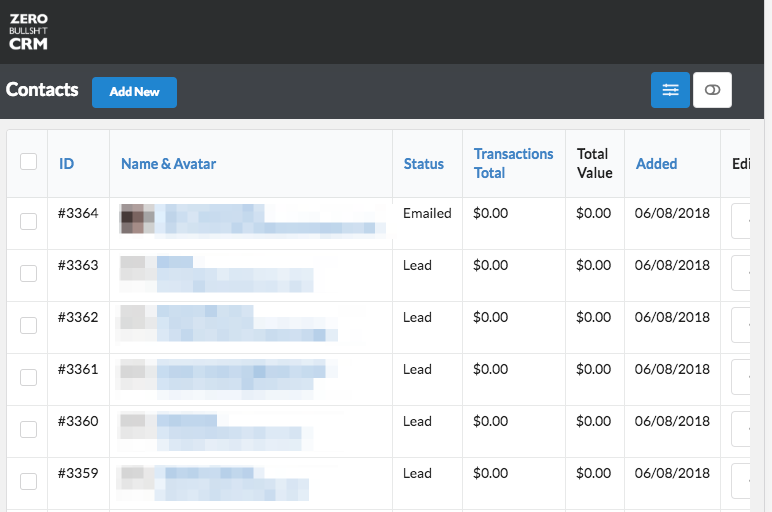 You can use Zero BS CRM on the move. All you need is an internet connection. Add new contacts while on the move, pull up the contact details before heading into that meeting. 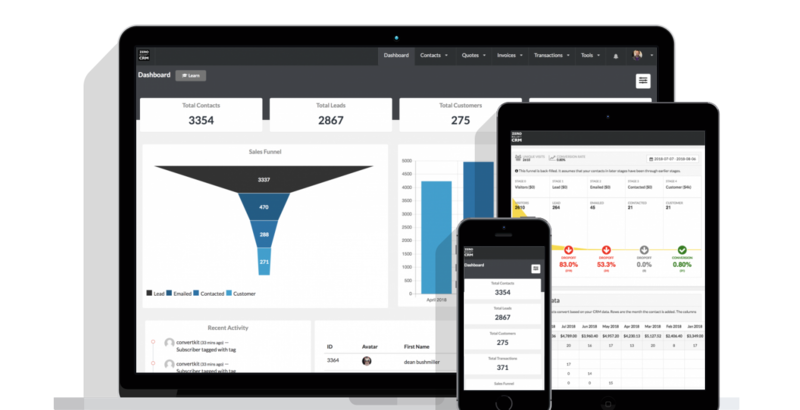 Zero BS CRM is the perfect mobile ready, responsive CRM. Note: This pricing is pre v3.0 launch. v3.0 Launches next month and after that these prices will go up. Lock in your price - Purchase a bundle at this reduced price, and we'll never put your yearly renewal up. *Prices listed are in USD. All licenses are auto-renewed after one calendar year for continued software updates and support access. All purchases are subject to our terms and condition of use.